Spicy, complex and caffeine free. 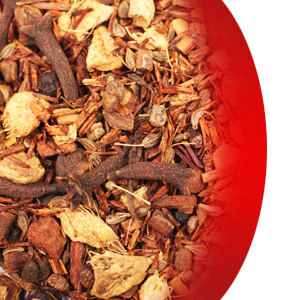 This rooibos blend has a perfect balance of Indian spice and South African, smooth rooibos tea. Flavor of this wonderful tea are influenced by ginger, aniseed, cinnamon, cardamom, cloves and black pepper.